No matter where your travels take you, from national parks to backwoods to back porches, a camping sleeping bag remains a trusty companion. Since space and weight are not at a premium when you can drive to your destination, the comfort dial can get turned way up. There’s no need to suffer through the night in a constricting mummy bag, so options in this category tend to lean more towards a traditional rectangular shape or a roomier mummy. A number of lightweight options also do a nice job pulling double duty for easy backpacking trips. Below we rank our top picks for 2019, and if you need some background information our comparison table and buying advice dive into topics like fill type and temperature rating. To complete your camping kit, we've also tested and written about camping mattresses and camping tents. What we like: Roomy, comfy, and priced right. What we don’t: Can’t be unzipped completely and opened up as a blanket. A spacious fit, quality materials, and 3-season warmth at a sub-$100 price all add up to our favorite camping sleeping bag for 2019. The Trail Pod’s mummy design breaks from traditional rectangular camping bags, but is still roomy enough to roll around, while providing better warmth retention than the open top designs. We also like that the Trail Pod fits in a stuff sack and is a candidate for the occasional short-distance backpacking trip. Weight isn’t excessive, and a 29-degree temperature rating is plenty for most 3-season camping and light backcountry use. Our one gripe with the Trail Pod is we’d prefer if the zipper continued all the way around the bottom of the footbox to allow the bag to be opened up as a blanket. Look to the Dolomite below for that option. Beyond that, the Trail Pod strikes us as the ideal base camping bag to cozy up in before a day of adventuring. 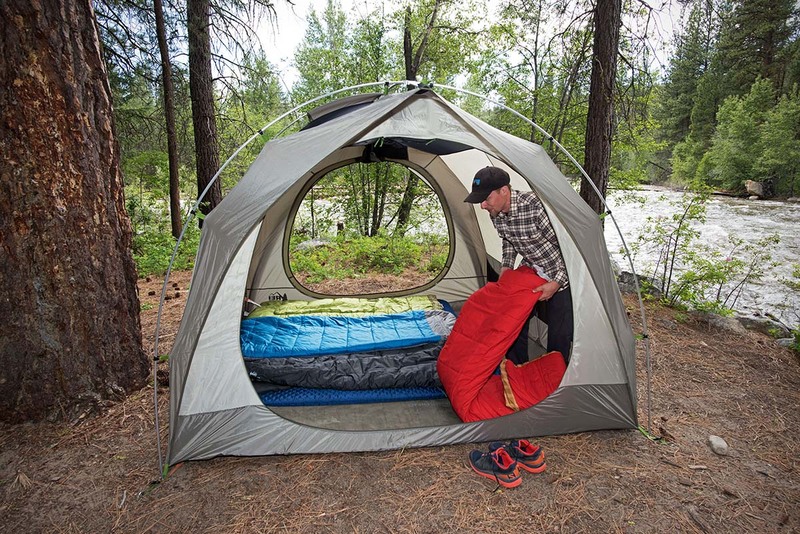 For a warmer alternative with the same basic design, check out the REI Co-op Trail Pod 15. What we like: Great warmth and build quality. What we don’t: You can go cheaper for a rectangular bag. Mummy bags are popular for both camping and backpacking, but rectangular bags can offer a sleeping experience that hits a little closer to home. This is a competitive category and we have a number of rectangular options on this list, but our top pick is the Dolomite 20 from The North Face. For $100 you get a high quality bag with a very useful 20-degree temperature rating, perfect for 3-season car camping in a variety of conditions. If you give the listed rating a 10-degree buffer or so, you’re looking at comfortable sleeping down to about freezing. The bag also has a premium feel and build along with nifty details like a full-length zipper that opens it up for use as a blanket. Keep in mind that a rectangular bag is heavier than a mummy for the warmth and doesn’t pack away nearly as small, so the Dolomite 20 won’t fit in a pack or travel far from your car. But we appreciate the option for a comforter-like system, which gives you plenty of room and flexibility depending on the temperature. For 2019, The North Face has expanded the Dolomite line with the One, which includes a multi-layer system that allows you switch between 15°F, 30°F, and 50°F insulation ratings. What we like: Mummy hood increases warmth in cold temperatures. What we don’t: Cheap build quality. Teton Sports is a value-oriented brand, and their camping-ready Celsius offers a lot of bang for your buck. For just $50, you get a 0-degree temperature rating and a unique construction that attaches a mummy bag’s hood to a rectangular bag. And while the temperature rating is very generous—depending on how warm or cold you run, it may not even be comfortable around freezing—the Celsius does an admirable job sealing out the cold with insulation around your head and a drawcord at the top. As expected at this price point, the Teton Sports Celsius falls short of more expensive bags in build quality and overall comfort. To start, the shell fabric feels cheap and the zipper can be finicky to use. Further, the polyester fill does not compress well and it can be a real pain trying to stuff it back into the included storage bag. But it delivers on warmth, which is why it’s a top seller year after year. Just be aware that the Celsius runs consistently short, so you may need to go up a length to get a proper fit. What we like: Great crossover bag; down insulation at a value price. What we don’t: Too snug for comfort seekers. Our favorite crossover sleeping bag, the Kelty Cosmic 20 has cemented a spot on both our backpacking and camping bag lists. This year, the Cosmic got an update with a new 20-denier shell fabric that helps cut its weight to a very impressive 2 pounds 6.6 ounces in a regular size. Along with its mid-range 600-fill down, the bag offers cozy warmth and good compressibility. And considering the typical price of a down bag, the Cosmic Down's $170 MSRP really stands out. For improved performance in wet conditions, the Kelty's down has a hydrophobic treatment, which is a big helper should some water makes its way the tent or if you sleep too close to the wet tent walls. It still won’t insulate as well as a synthetic insulation when moisture enters, and as always, it’s important to keep the bag as dry as possible, but the extra degree of protection and 20-degree rating makes it a great choice for almost any 3-season trip. Compared with the Trail Pod above, the pricier Cosmic is the better buy if you’ll be backpacking more than 1-2 times a year or want to travel light. What we like: Cozy down insulation and a roomy rectangular shape. What we don’t: Less versatile than the Cosmic Down above. Boulder-based Kelty has been in the camping business for a long time, and we like what they’ve come up with in the Galactic 30. What makes this bag unique is its combination of quality 600-fill power down with a rectangular shape. Most traditional camping bags stick to synthetic fill for cost savings, but lofty down clusters offer a premium feel and warmth that polyester just can’t match. And as we’ve come to expect from Kelty, the Galactic is solidly built and priced right at $120. What are the downsides in choosing the Galactic 30? First off, even though the down clusters have a hydrophobic treatment, the Galactic will not perform as well as the synthetic Dolomite above in the wet. Further, the rectangular shape and 30-degree temperature rating mean that it isn’t viable for most backpacking trips, which is one of the main reasons to go with a packable and lightweight down bag. As a result, the mummy-shaped Kelty Cosmic Down above is a more versatile crossover camping/backpacking option, but we still love the recipe of cozy down warmth in a roomy design. What we like: Everything you need in a mummy bag from a respected brand. What we don’t: Pricier than the Trail Pod above and many people don’t need the extra warmth. If you’re in the market for a mummy bag for camping, it’s hard to knock the Marmot Trestles. This synthetic sleeping bag pretty much has it all: a 15-degree temperature rating for true 3-season warmth, a DWR-finish to help keep you dry, and a quality feel and build that Marmot is known for. And at just over $100, that’s a whole lot of mummy bag for your car camping adventures. We have the Marmot Trestles below the REI Trail Pod for a few reasons. The first is cost: $20 is a notable difference in this price-sensitive category. Second, many people don’t need the extra warmth and the 29-degree rating of the Trail Pod should be enough for most summer camping trips. Third, the Trail Pod weighs less than the Trestles and packs down smaller. Both are excellent bags, and if you sleep cold or need the extra warmth, go with the Trestles. 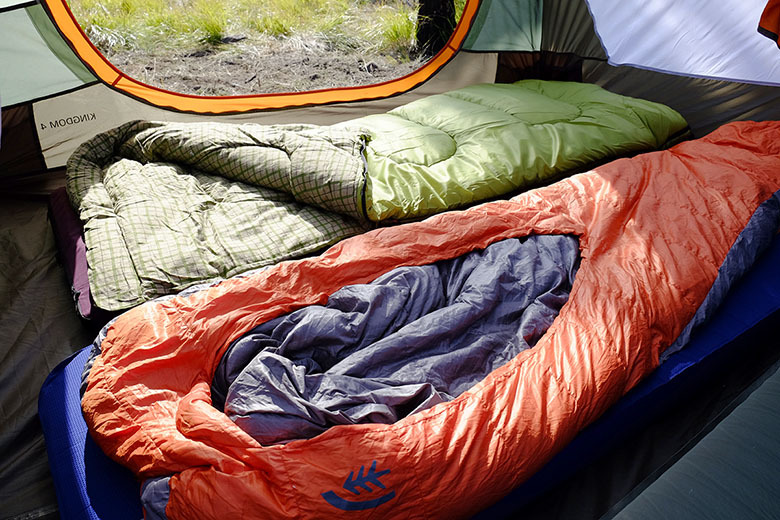 What we like: Three sleeping bags in one. Released last year, The North Face One features a unique layering system that allows you to swap between three different temperature ratings. During summer months or warm nights, you can use the basic synthetic-insulated bag with its 40-degree limit. Then, as the temperature drops, zip on the 800-fill goose down midlayer (to 20°F) or add the third section on top for winter camping (5°F rating). At less than 4 pounds with all layers connected, The North Face design is streamlined, lightweight, and reasonably packable. What are the drawbacks of this all-in-one system? For starters, at almost $300, The North Face One is very expensive for camping use. Further, the zippers can be finicky and difficult to use—in other words, switching between layers isn’t an entirely seamless process. And although relatively lightweight, the One Bag is on the heavy end for backpacking (it will do the trick for short trips, however). All things considered, The North Face One is a well-executed and highly versatile option for year-round adventuring. What we like: Very comfortable inside; dual zippers on the front comforter. What we don’t: Expensive for the occasional camper. We get that spending more than $200 on a camping bag is hard to swallow, but the Nemo Jazz deserves a spot on our list for its supremely comfortable design. With a 20-degree temperature rating, adaptive comforter, and very roomy interior, it’s a great option for those that struggle to get a good night’s sleep outdoors. It's also made with the kinds of premium materials that we've come to expect from the New Hampshire-based company. 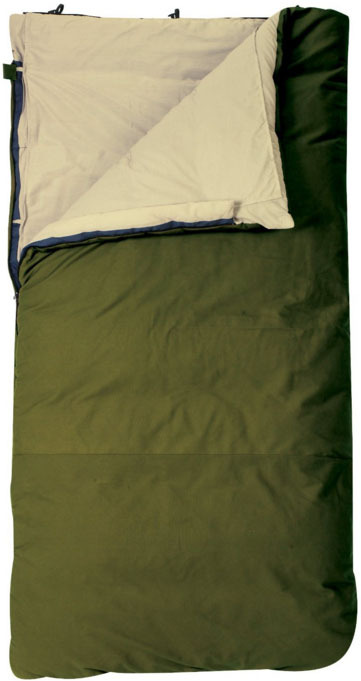 The comforter on the Jazz is similar in concept to the Frontcountry Bed below, but Nemo includes zippers on either side for a smoother entry and even less restrictive fit. Its rectangular shape is very spacious like a traditional sleeping bag, but isn’t drafty thanks to a built-in hood. The standard Jazz accommodates a 25-inch wide pad into its sleeve, and for even roomier options, there is the Jazz Luxury for a 30-inch mat and Duo and Luxury Duo for couples. Weight: 4 lbs. 1.6 oz. What we like: Awesome price for the specs. What we don’t: Zipper can be finicky. Like the Celsius above, the Teton Sports Tracker is a solid value option. On paper, the bag pretty much has it all: 5-degree temperature rating, 4-pound total weight, and a soft touch, brushed lining. Tack on a compression stuff sack and interior zippered pocket at a price that consistently hovers around $70, and you have an excellent budget camping and backpacking sleeping bag. To keep you comfortable, the Tracker has a generous amount of polyester insulation that performs admirably in cold weather. Further, Teton added an extra layer of insulation around the footbox, which is an area prone to getting cold. It's true that the mummy shape is a little snug for comfort-focused campers (but roomier than a standard mummy bag), and the main zipper can be a little stubborn, but you’ll be hard pressed to find a bag that puts together this impressive of a stat line, and the comfort to back it up, for well under $100. What we like: Incredibly cheap for the warmth it provides. What we don’t: The heaviest and bulkiest mummy bag on this list. In the camping world, you’ll be hard pressed to find better deals than Coleman. And for those who plan on sleeping in cold weather, the North Rim is case in point. For about $45 on Amazon (and we often see it in the $30s), you get a burly synthetic mummy bag designed for temperatures down to a claimed 0°F (this bag is not EN tested so keep that in mind). The North Rim comes in one size designed to fit people up to 6’2’’, and even has features like a draft tube and two-way zipper. 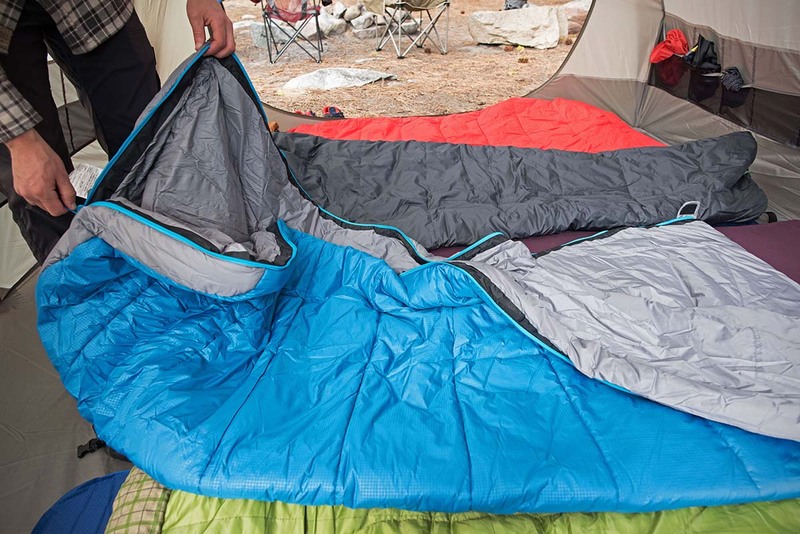 For winter camping, this sleeping bag is surprisingly well built and a screaming deal. However, we think the Coleman North Rim is too much sleeping bag for most people, which is why falls to #10 on our list. You’ll be hot and sweaty in most conditions, and with all of the insulation the bag is bulkier and heavier than the mummy options above. But for winter or crisp fall days when you need the extra warmth, Coleman comes through with the North Rim at a low price point. What we like: Most comfortable bag out there. What we don’t: Pricey and huge, even when packed. Let’s get the elephant in the room taken care of right off the bat—the nearly $200 price tag. This is rarified air for a rectangular sleeping bag that won’t ever see a whiff of backpacking. And there’s no fancy lightweight fabrics or insulation at work here, it’s all about pure luxury camping. Weighing in at over 10 pounds and rolling to the dimensions of an average-size duffel, there’s nothing subtle about the Country Squire, but neither is the comfort. The buffalo plaid lining covers you in camping decadence, and is by far and away the best feeling rectangular bag on this list. A heavy-duty cotton shell and burly zippers should ensure this a one-time purchase. The price, even under $180 on Amazon, keeps it from ranking higher here, but those willing to spend up will be treated to a camping bag for the long term. If you camp in truly frigid conditions, consider the 0-degree Country Squire instead. What we like: A double bag that can transform into two singles. What we don’t: Not that warm. There aren’t a ton of innovative ideas cropping up in the camping bag market, but we like what Exped has come up with in the MegaSleep Duo 25. The big deal with this design that it addresses our main complaint about double bags: versatility when you need to sleep solo. Exped accomplishes this by including what amounts to two separate sleeping bags (one with a 40°F rating and the other with a 25°F rating). And for trips when you want the double bag functionality, it’s easy to connect the Duo’s two pieces for a cozy and very comfortable set-up. Where does the MegaSleep Duo fall short? As with most rectangular models, the Exped doesn’t pack down small (even if you’re using just one of the single bags), so if you’re looking for a dual camping and backpacking option, a bag like the Kelty Cosmic 20 above is a much better choice. The MegaSleep Duo also lacks other features of a mummy bag like tapered cut and a cinched hood that seal out cold much more effectively. In other words, the 25-degree rating should suffice for most summer camping trips, but not much beyond that. But with the ability to sleep with a partner or on your own, the MegaSleep Duo gets a spot on our list for 2019. What we like: Roomy fit and very warm. What we don’t: Heavy for a crossover bag. Built for cold weather car camping, the Big Agnes Encampment is a roomy and cozy synthetic sleeping bag. In contrast to the generous mummy shape of Trail Pod above, the Encampment is semi-rectangular, which amounts to lightly shaving the corners off a traditional camping bag. Spacious to roll around in and equipped with a real hood and cinch cord, the Big Agnes is one of the few on this list to remain warm when temperatures dip below freezing. But it's very important to combine the Encampment with a well-insulated sleeping pad. The bag has no insulation underneath you, so you’ll need a 20-inch wide mat (checkout our best camping mats for recommendations), to fit into the built-in sleeve at the bottom. It's also double the price of the Trail Pod without enough to show for it (other than the boost in warmth), which hurts it in our rankings. What we like: Fantastic comfort for two sleepers. What we don’t: A double bag isn’t as versatile as purchasing two single bags. 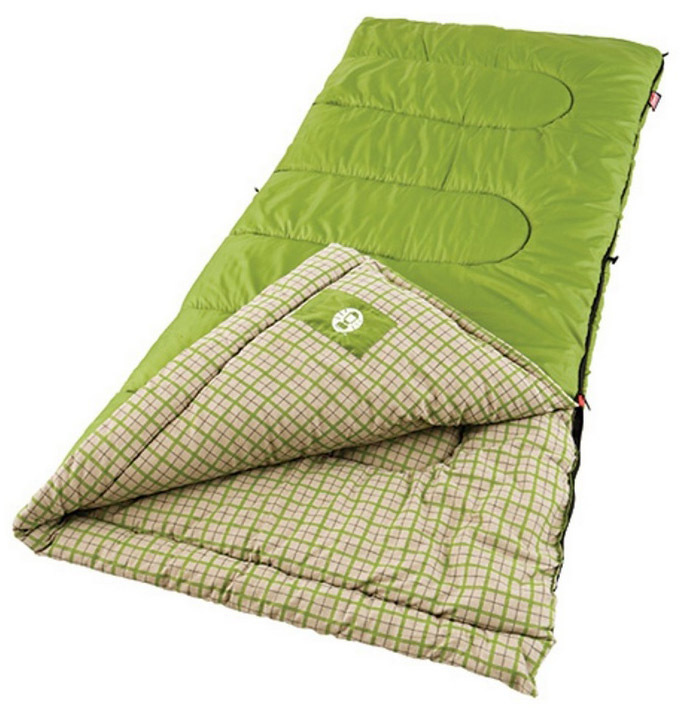 For unbeatable warmth and comfort for two sleepers, a double bag can be a fun camping option. There are a number of designs on the market, but The North Face’s Campforter Double stands out with its lofty 700-fill down, soft touch fabrics, and adaptable construction. The bag can be opened from the bottom for venting or you can unzip the top half completely for use as a quilt around camp (just be careful to keep it out of the dirt). For convincing a reluctant partner to head out to the woods, the Campforter is a solid choice. The main downside with a double sleeping bag like The North Face Campforter is its lack of versatility. For most campers, purchasing two compatible single bags and zipping them together is nearly as comfortable, but comes with the added benefit of being able to use them on solo adventures (Nemo's MegaSleep Duo above addresses this issue). In addition, the Campforter is expensive at $399 and doesn’t compress enough to be a viable choice for backpacking. For a cheaper double bag alternative from The North Face, check out the Dolomite 20 Double. What we like: A zipper on each side. What we don’t: A little pricey compared to the Kelty options. We’ll start by saying that the REI Siesta is a perfectly good rectangular bag. It’s comfortable, well built, and looks good to boot. The reason we have it ranked here is because Kelty’s Galactic and Teton Sports' Celsius are very competitive in this category. The Galactic is only $30 more and offers cozy down warmth, while the Celsius undercuts the Siesta by a whopping $30 and is slightly warmer. The Siesta does have a leg up on both: it has a full zipper and a partial zipper on the opposite side for airing things out in warm weather—the Kelty and Teton Sports bags each have only one zipper. 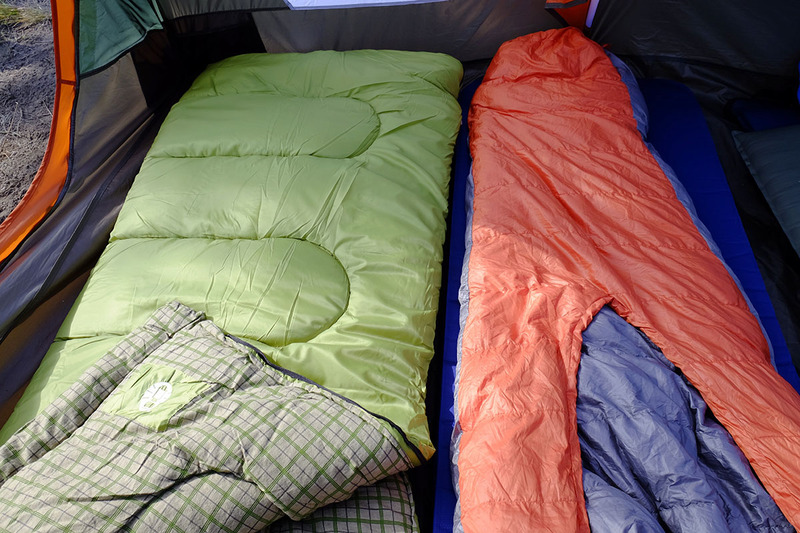 If the $90 price is taken out the equation, the REI Siesta is a great sleeping bag. Grab last year’s version on sale or use your member coupon and we like it even more. The REI Co-op brands usually wins out on value, but not head-to-head against Kelty and Teton Sports in rectangular camping bags. What we like: Roomier than mummy-style bags and the integrated blanket is great for varying temperatures. What we don’t: Zipper-less enclosure isn’t for everyone. We tested the Backcountry Bed from Sierra Designs and found it to be a bit too drafty for our tastes, but the casual concept applies much better to car camping. Enter the Frontcountry Bed, which is a solid choice for stomach or side sleepers. This unique design is akin to a roomy pea pod with a big opening in the top and a built-in comforter—there are no zippers here. Above your head, a large insulated zone comfortably accommodates a pillow and your elbows. In addition, the comforter has special pockets for your hands should you sleep with it untucked. On the whole, the Frontcountry Bed feels like a hybrid between a mummy and rectangular bag. We found the design to be comfortable yet a little too open feeling in cold conditions, even if you tuck in the comforter, although it does retain heat better than some of the airy rectangular bags on this list. The poly-fill insulation isn’t anything special either, but the bag has been EN-rated so we can trust the 27-degree rating (the 37°F Comfort rating is even more accurate) better than the approximate numbers given to other bags. What we like: A great price and reasonably comfortable in warm weather. What we don’t: Heavy and doesn’t include a stuff sack. At the budget end of the spectrum, Coleman makes a nice line-up of basic three-season sleeping bags for camping. There is nothing remarkable about the Green Valley—it’s relatively heavy with a slick nylon outer and fleece-like liner that could be softer. Why is it on this list? Because, it’s 35 bucks (and is often less on Amazon) and it gets the job done if that job happens to be car camping, sleeping on a bunk in an Airstream, accommodating a buddy on the couch, or keeping dog hair off the backseats. What if the dog chews a hole in it? Who cares—it was 35 bucks. Get out some duct tape and roll it up so it’s ready for the next adventure. This bag is rated to keep you warm from 30 to 50-degree temperatures, but you will probably need some long underwear (and maybe an extra liner) at the lower end of that range. REI Co-op Trail Pod 29 $90 Mummy 29°F Synthetic 2 lbs. 15 oz. 10 x 12 in. The North Face Dolomite 20 $100 Rectangular 20°F Synthetic 4 lbs. 14 oz. 11 x 20 in. Teton Sports Celsius $50 Rectangular 0°F Synthetic 5 lbs. 10 x 15 in. Kelty Cosmic Down 20 $170 Mummy 19°F 600-fill down 2 lbs. 6.6 oz. 8 x 15.5 in. Kelty Galactic 30 $120 Rectangular 30°F 600-fill down 2 lbs. 10 oz. 8 x 15 in. Marmot Trestles 15 $109 Mummy 15°F Synthetic 3 lbs. 6 oz. 9.5 x 19 in. 800-fill down 3 lbs. 12 oz. Unavail. 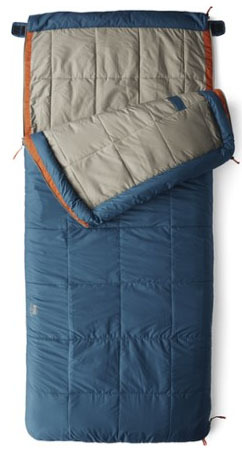 Nemo Jazz Sleeping Bag $230 Rectangular 20°F Synthetic 4 lbs. 14 oz. 13 x 30 in. Teton Sports Tracker $70 Mummy 5°F Synthetic 4 lbs. 1.6 oz. 9 x 15 in. Coleman North Rim $47 Mummy 0°F Synthetic 5 lbs. 4 oz. 12 x 17 in. Slumberjack Country Squire $178 Rectangular 20°F Synthetic 10 lbs. 9 oz. 16 x 40 in. 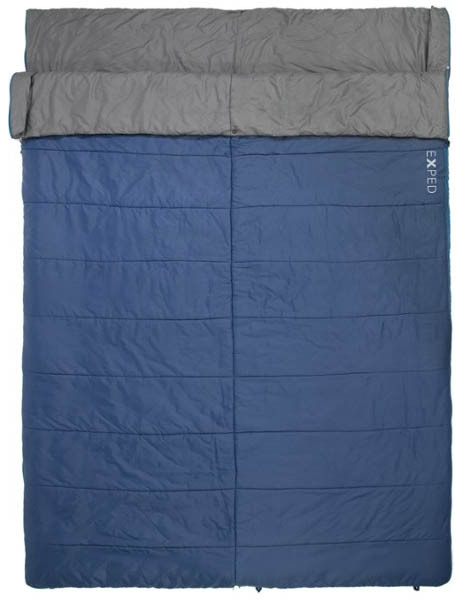 Exped MegaSleep Duo 25 $215 Rectangular 25°F Synthetic 4 lbs. 12 x 28 in. Big Agnes Encampment 15 $180 Mummy 15°F Synthetic 3 lbs. 4 oz. 9 x 20 in. The North Face Campforter Double $399 Mummy 20°F 700-fill down 4 lbs. 12 oz. 11 x 20 in. REI Co-op Siesta 30 $90 Rectangular 35°F Synthetic 3 lbs. 9 oz. 10 x 13 in. Sierra Designs Frontcountry Bed $150 Rectangular 27°F Synthetic 4 lbs. 6 oz. 11 x 20 in. Coleman Green Valley $35 Rectangular 30°F Synthetic 4 lbs. 12 oz. 12 x 18 in. Traditional camping bags have a wide, rectangular fit with plenty of room to roll around. Clearly designed for warmer conditions, rectangular bags can often be completely unzipped down one side and the bottom to be used as a large blanket for two. There isn’t any insulation covering your head, so plan your sleepwear accordingly when taking them outside their summer comfort zone. Also, most rectangular bags are heavy and don't pack down small, so if you are looking for an all-in-one option for camping and backpacking, we recommend choosing a mummy-style bag instead. Mummy sleeping bags trim away material in the shoulders, hips, and feet for a shape that mimics your body. The advantage of having a tapered cut is there is little extra space for cold spots to creep in. And with a quality hood cinched around the top of your head, you can really maximize the temperature rating potential. If you find yourself at higher elevations or in colder temperatures, a mummy bag is a great option. Additionally, if you plan to occasionally mix in some backpacking, there are great mummy bags made with a roomier fit, including the REI Co-op Trail Pod and the Big Agnes Encampment. Let’s make this clear right off the bat: it’s important not to treat sleeping bag temperature ratings as hard truth. Unlike backpacking bags, which are mostly assigned a rating through a standardized process (EN rating system), individual manufacturers assign the ratings for the majority of camping bags. As such, there are some major discrepancies once you have them out in the real world. One reason for this is due to the shape of many camping bags. A rectangular bag that has a wide opening on one end will not retain heat in the same way a sealed off mummy bag can. In the end, the temperature rating does have value and you should use it as a basic guideline. In choosing the proper approximate rating, try to get an idea of the very coldest temperature you'll be experiencing overnight. Once you have that number, it’s a good idea to build in a little buffer (we like an extra 10-15 degrees) to avoid getting cold. And keep in mind the temperature rating is closer to a survivability rating rather than being comfortable and warm. Other factors to consider are your age—people typically don’t sleep as warm the older they get—and whether you are a cold or warm sleeper. Most campers stick to the warmer months for their outdoor adventuring, and as a result, most of the sleeping bags on this list are rated in the 25-40 degree range. 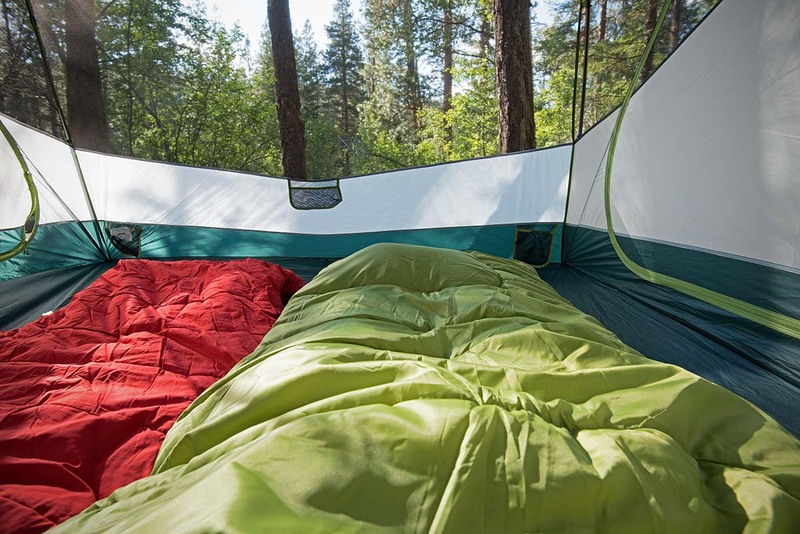 There are two types of insulation used for camping sleeping bags: manmade synthetic fibers and down insulation made up of clusters of duck or goose feathers. Down offers the ultimate warmth-to-weight ratio along with excellent packability, which is why it’s highly valued for backpacking sleeping bags. For camping bags, however, weight and a compact stuffed size usually aren’t major considerations. In addition, down is much more expensive that synthetic insulation. 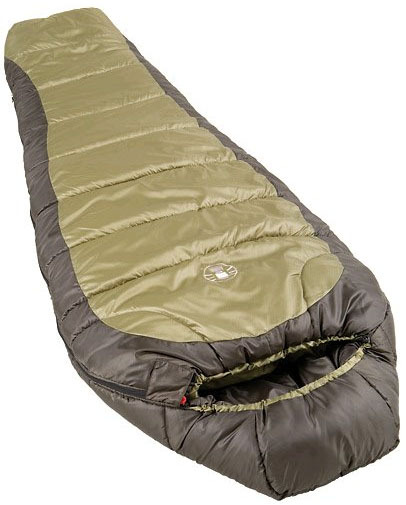 A down sleeping bag like the Kelty Cosmic 20, with average quality down (600 fill), costs $60 or more than an equivalent synthetic option like the Marmot Trestles. And the gap is much larger for premium down bags, which can cost $500 or more. Synthetic insulation dominates the camping sleeping bag category because of its affordability and practicality—13 of the 17 bags on this list have synthetic insulation. The compromises in choosing the cheaper fill type are relatively minimal for camping. With a car or camper to transport all of your gear, the larger stuffed size and extra weight are much less of a concern than when your sleeping bag has to be crammed into a pack and carried on your back. And should the insulation get wet, synthetics continue to keep you warm, unlike down feathers. For a full explanation of the two insulation types, see our article on down vs. synthetics. Camping has a sweet simplicity to it, and one of the great things about driving (or walking a short distance) to your campsite, is that you don’t need anything too special from your camping sleeping bag. Realistically, you can get a great sleeping bag for under $100. Spending extra brings features like a softer touch shell fabric and a lighter overall weight, which is worth it for some, but most campers will be happy with a tough nylon shell, a healthy dose of synthetic fill, and a cozy flannel lining. The Teton Sports Celsius, which can be found on Amazon for around $50, is a great example. It's plenty warm, comfortable, and tough enough to keep using year-after-year. For most, the primary weight and packability consideration for a camping bag is whether or not it can be carried from the garage to the car, squeezed in with the rest of your stuff, and then moved from the trunk to the tent. That said, we still recommend checking the weight and stuffed size that will be listed in the product specifications to get an idea of just how large and heavy the bags are. Synthetic bags are typically made with thicker fabrics and require more insulation to provide sufficient warmth, which can add up to a surprising amount of bulk. The 10-pound SlumberJack comes to mind as one example. And if you’re considering a double bag (covered in more detail below), you’re talking about packed dimensions listed in feet rather than inches. If weight and packed size become important, a crossover backpacking/sleeping bag like the still-roomy REI Trail Pod reduces both. The interior of a sleeping bag varies quite a bit from bag to bag depending on its intended use, but the tried and true flannel lining is still our camping favorite. The soft touch fabric simply can’t be beat, and it’s plenty durable and washable in most cases. The one downside is the flannel adds extra weight compared with an integrated polyester that you’ll find in a crossover camping and backpacking bag. But if you’ll be exclusively camping, we highly recommend enjoying a flannel lining for its home-y feeling in a bag like the Slumberjack Country Squire. Mummy bags typically have a ¾-length side zip that requires some wriggling to get in and out of and can’t be opened up completely should you want to zip the sleeping bag together with another compatible bag. That’s why for camping, we prefer a bag that fully unzips. Not only is it easy to create a large and comfortable space for two if you zip it to another bag, but unzipping the bag on its own opens it up for use as a blanket. And if the bag has a tough exterior shell, you can use it as an outdoor picnic blanket in a pinch. A third type is the no-zip, which is limited to a couple designs, including the Frontcountry Bed that made our list. The large oval opening requires some modest flexibility and patience to get out of, but going zipper-less can be nice. There's no fumbling in the night for the zipper pull and you don’t have to worry about snags or heat loss (if the bag lacks a good draft tube). In the end, we don’t see the zipper-less design completely taking over the market. The in and out convenience and ability to use the bag as a blanket with a full zip sleeping bag is the better answer for most campers. A double sleeping bag is simply a standard sleeping that has doubled in width to accommodate two campers sleeping side-by-side. These bags are often an effective selling point to get a reluctant partner to finally try out camping. But is it worth getting the double bag as opposed to just zipping together two compatible sleeping bags? Our simple take is: no. While they’re undoubtedly spacious and a touch cheaper than getting two single bags, we’ve never been in a scenario where zipping two bags haven’t worked just as well—and it gives you the flexibility to camp solo as well (Nemo's new MegaSleep Duo is one of the few to address this issue). But who are we to tell you not to get a traditional double bag? And if you find it’s what you want, we recommend the truly massive and comfortable The North Face Campforter Double, Dolomite Double, or the aforementioned Nemo MegaSleep. Not only are they a double, but they have enough room inside for a two full size adults on each side and a storm-frightened toddler (or dog) in the middle. If you have a little kiddo or are shopping for one, we highly recommend picking up a sleeping bag that is sized proportionally. Unless you only camp in areas with very warm overnight temperatures, a 4.5-foot person in a sleeping bag designed for a 6-footer is a recipe for cold and uncomfortable nights. They just can’t heat all of that extra space. To keep from having to replace sleeping bags every couple years as your little camper grows up, consider getting a sleeping bag that has an adjustable length, like the REI Kindercone. Kids bags, like the Kindercone, are often made in a bunch of fun colors, which sure doesn’t hurt in getting them excited for some time spent outdoors. If you’ve ever had a pad deflate or slept directly on the ground in cold weather, you know firsthand the importance of an insulated pad beneath you. 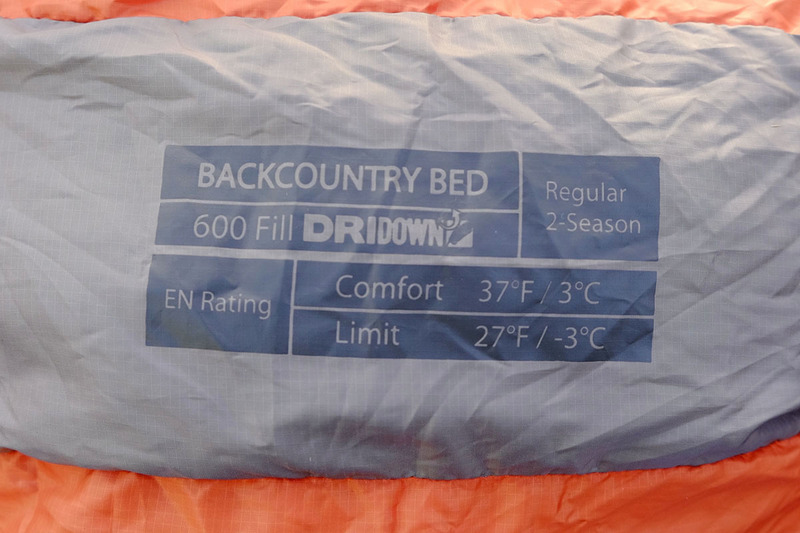 Further, when you lay on a sleeping bag, you compress the insulation, which impacts its ability to warm you (this is particularly true for down fill, but does impact synthetic as well). As a result, it’s important to choose a sleeping mattress or pad that will protect you from the ground if you’ll be camping in cooler temperatures (typically under 50-60 degrees). For summer camping where it stays warm at night, you can use a large, uninsulated airbed, but if it’s cold, get a sleeping pad with some form of insulation (most often synthetic or foam). 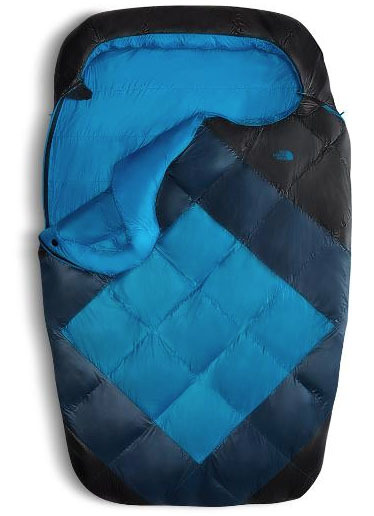 Sleeping pads are given an R-value rating, and the higher the number, the better it insulates you from the cold. As a general guideline for 3-season use, we recommend a rating between 2.5 and 4. Summer campers can get away with less, while winter adventurers will want something that exceeds 5 (and may want to consider adding a second pad for additional protection). Checkout our favorite camping sleeping mattresses for a breakdown of our top picks as well as buying advice.